The seamless lipsynch and believable facial characterisation of this machinima project take it to a new level, capable of carrying a strong, character-driven story. At least I hope so because I don't speak a word of German and had to guess at the storyline! This begs for subtitles in other languages. 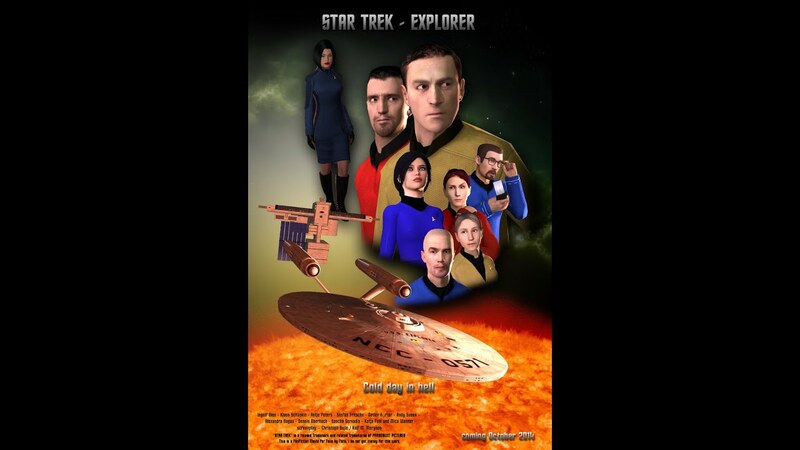 After an unsuccessful trail in 2006, Christoph Bujilo created a successful German language, Star Trek fan-made comic book series called Star Trek Explorer. Based on graphics captured from Star 'Mods' in the computer games Half Life and Star Trek Bridge Commander as well as his own bridge model based on the USS Kelvin from the film, "Star Trek", it was published in 2009. He has now translated all his virtual assets from his comics, plus some added material from projects like the ill-fated, 'Star Trek Temporal Cold War Mod', into Source Film Maker. To date he has three episodes but trawl his Youtube website for teasers, tests and outtakes. There's even Explorer fan art!